Scarborough Centre Liberal MP Salma Zahid talks to CTV News on Wednesday, Aug. 22, 2018. OTTAWA -- CTV News has obtained audio of a robocall made on behalf of a Conservative riding association that tried to pitch party memberships by citing a Liberal MP’s cancer diagnosis. In February, Zahid announced she was taking a medical leave to be treated for Stage 4 non-Hodgkin's lymphoma. The call was made a month later. It began by saying that half of the party’s memberships in the riding were set to expire and encouraged supporters to renew or sign up, and solicited feedback on prospective candidates. Only current Conservative party members can cast a ballot in a nomination vote once it's called. The volunteer riding association vice president who voiced the March call, Chris Mellor, confirmed to CTV News that he was the one behind the mass automated message, a month or so after Zahid began six rounds of chemotherapy treatment. Mellor said he does not regret the call, saying it was appropriate given her public statement on her diagnosis. “I am aware of what non-Hodgkin’s can do to you, OK? Recovery is long, it’s debilitating in many cases. And you know, from the standpoint of election readiness we felt that we should have our members, as many members as possible, in order to select the candidate in the event that she resigned, or felt that she could no longer continue,” Mellor said. 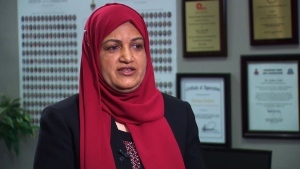 However, the MP at the centre of the call, Zahid, told CTV News that she was really disappointed to learn recently that Conservatives were exploiting her illness for political advantage. “I can say that it’s reprehensible, disgusting, and disappointing, that they are trying to create fear among my constituents and it makes it harder for me as a member of Parliament to do my job,” she said. Zahid said a number of constituents have raised the call with her since she resumed her MP duties last month after successfully completing her treatment. She is now cancer-free. She thinks it’s on Conservative Party Leader Andrew Scheer to take responsibility for this call, which she says has caused her family distress. She said her kids are being approached, asking sympathetically if their mother was resigning. She is not, recently having been nominated to run again in the riding in 2019. It’s a campaign she says she now has a renewed sense of determination to fight. “Of course, speculating on another MPs health issues for political motivations is completely unacceptable under any circumstances. Our thoughts are with MP Zahid and we wish her a speedy return to health,” the statement said. In a statement to CTV News, the Conservative Party also distanced themselves from the call. Spokesperson Cory Hann said that the call was made by a “volunteer on a local riding association without the approval of the association’s board,” and that the individual is being removed from the board, and will not hold any roles with the party. Though, Mellor disputes the party’s claim that others weren’t aware of the contents of the call. He said he had notified other board members about the message before it went out, though he did not provide further evidence to back up that claim. “I do not believe that they knew that indeed I had copied the responsible people before the message went out,” Mellor said. 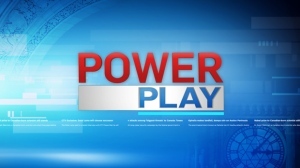 In a follow-up response to CTV News, Hann did not comment on Mellor’s accusation, but re-stated that he will no longer hold any roles with the party. Mellor ran in the riding during the June provincial election under the Trillium Party of Ontario banner. He came in fifth. Outgoing Liberal party whip, now minister Pablo Rodriguez told CTV News that the Conservatives owe Zahid an apology. In December 2011, when he was Speaker of the House of Commons, Scheer weighed in on a similar case involving then-Liberal MP Irwin Cotler. In that instance, Campaign Research -- a polling firm with ties to the Conservative Party -- targeted Cotler’s riding with a telephone voter identification poll suggesting, misleadingly, that he was stepping down as an MP. “I am sure that all reasonable people would agree that attempting to sow confusion in the minds of voters as to whether or not their member is about to resign is a reprehensible tactic and that the honourable member for Mount Royal has a legitimate grievance,” Scheer said at the time. Zahid said she is “seriously considering” raising this instance with House of Commons Speaker Geoff Regan when Parliament resumes next month. Dirty tricks using robocalls have been embarrassing for the Conservatives in the past. In the 2011 election, more than 7,000 voters in Guelph, Ont., received automated calls directing them to the wrong polling station. Conservative campaign worker Michael Sona was later jailed for his role but the party disavowed involvement, even though phone numbers from its centralized voter contact database CIMS were used to place the calls. In this instance the party did not confirm whether or not the call was made using CIMS.